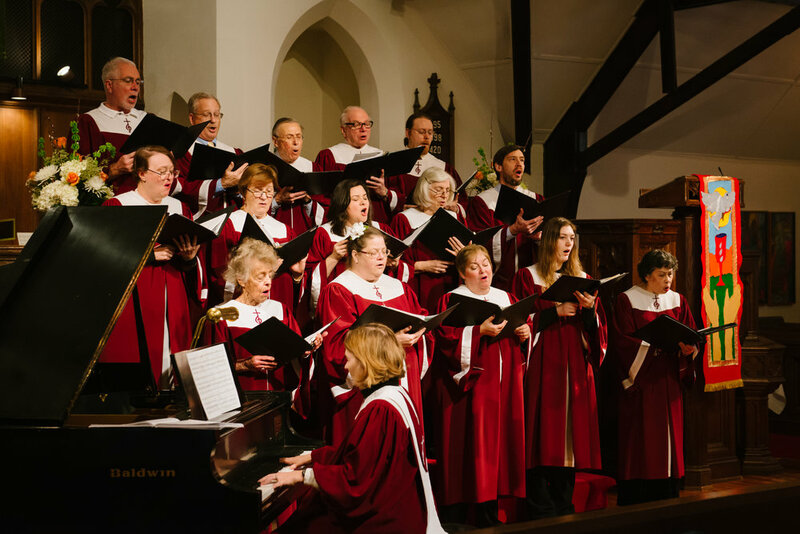 Bethesda Presbyterian Church has long had a history of fine music for worship, concerts, operas and other settings, including voice, string, and piano competitions. This tradition continues to be upheld. We are committed to “music for all” and encourage anyone with particular interests to come forth and offer your talents. There is always room for extra strengths that may not be apparent in our current program offerings! At present, we have an outstanding Chancel Choir and a wonderful & wonderfully modest Handbell Choir. Our goal here at Bethesda Presbyterian is not for the mere performance of music, but offering up our gifts to God. In addition to our musical offerings for worship, Christian fellowship is perhaps why many do choose to be part of this ministry. The combination of our love for music and for sharing it with each other helps us to make worship even more meaningful for all. The common saying “He who sings, prays twice” always leads me to rephrase it when thinking of our choir ~ “Those who sing together, pray and play together”. Please consider whether you would like to be part of this valuable ministry and Christian community. You can reach me via the church office – just call the main office number and our wonderful secretary will forward your information to me directly. Or you could always attend one of our services and stop by after the postlude to say hi and share your interests. I look forward to meeting you! Our Chancel Choir, under the direction of Ms. Xanthos-McQueen, meets Sunday mornings 9:30-10:45 a.m. in the choir room for rehearsals just before the worship service. Our Music Director LeeAnna Xanthos-McQueen, Pianist, debuted at the age of 19 on National TV (PBS) performing Rachmaninoff’s Piano Concerto No.2 with the Utah Symphony. She has traveled as an accompanist with the Mormon Tabernacle Choir, and has performed as soloist and accompanist throughout the United States, Canada, Mexico, Europe and Russia. She majored in piano performance at the Eastman School of Music and the University of Maryland, doing her graduate studies in accompanying and chamber music at Arizona State University. LeeAnna has maintained a private teaching studio for nearly 30 years and has served as a church choral conductor and organist for several congregations She is also an accomplished marimbist. Currently, she is the music director and organist at the Bethesda Presbyterian Church and teaches 45 students in Alexandria, Virginia.